It’s gardening season, but you may not have the space or the time for a sprawling outdoor garden. 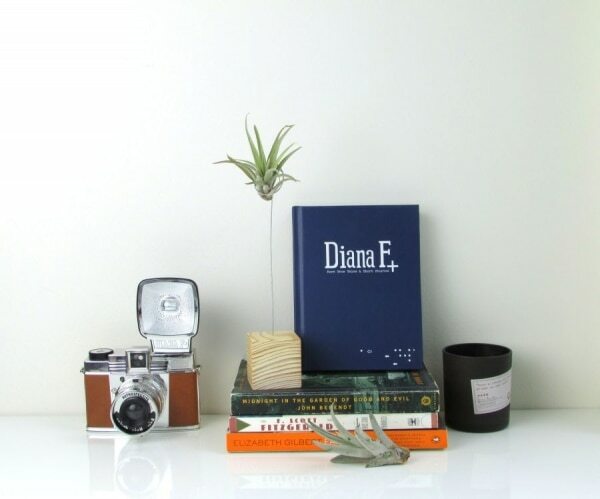 If that’s the case, you can keep your green thumb alive with potted plants, hangings, and mini gardens that are easy to maintain and look beautiful on your shelf, tabletop, or desk. 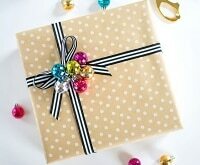 Get creative with materials you have on hand, or get ambitious and create something from scratch. And if you need soil, seeds, or other planting necessities, grab a Home Depot or Lowes coupon code before shopping. 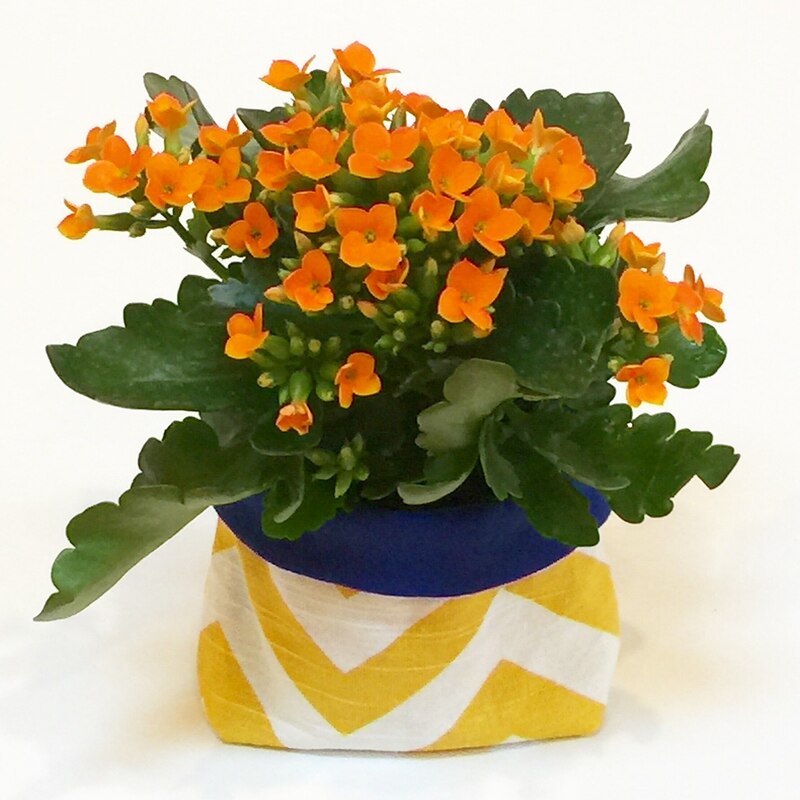 Get the step-by-step tutorial for how to make your own beautiful fabric flower pot here. 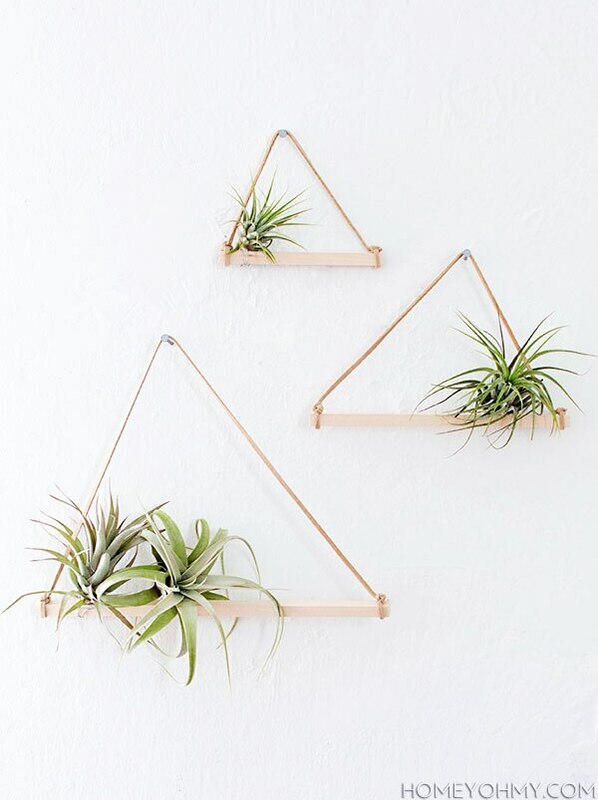 This minimalist air plant would look super chic on your desk, and it’s surprisingly easy to make. 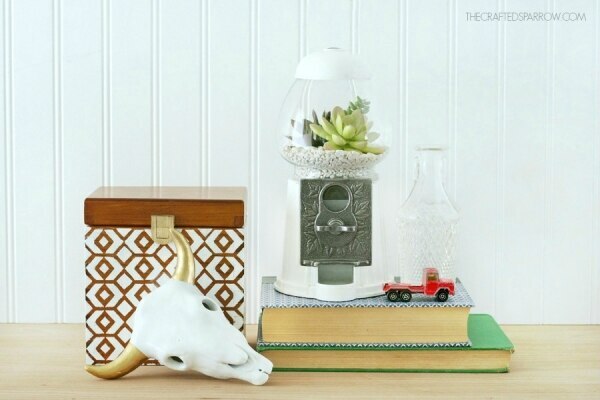 Make a small circular holder out of floral wire, and stick it into a wooden cube base. 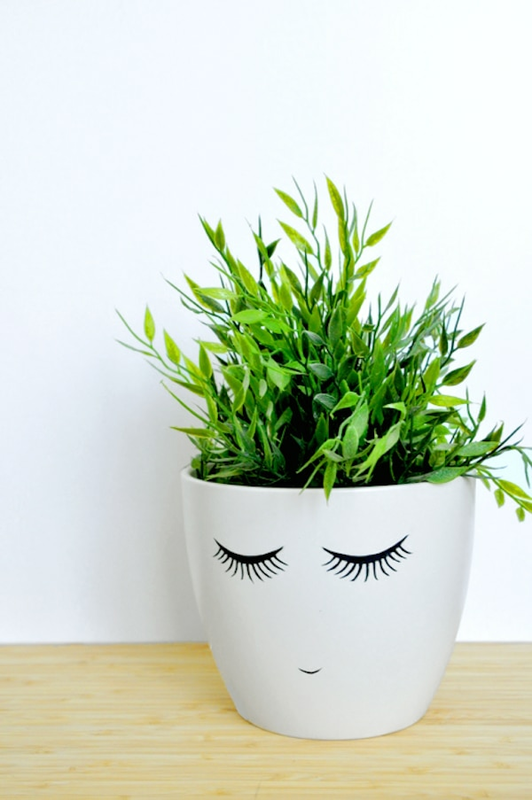 Turn a plain white pot into an adorably shy character. All you need is the free printable, scissors, and glue. Fill a gumball machine with something that’s much better for your health. Put white pebbly gravel in the base, and stick in either faux succulents or a layer of soil and the real deal. 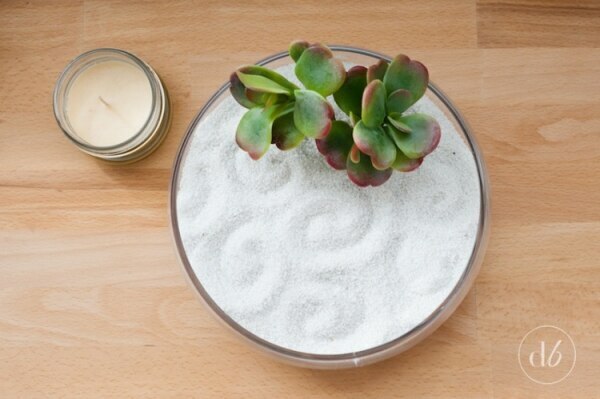 All you need to find your inner peace is a glass container, sand, and succulent plant. Whenever you need a mindful respite, doodle patterns into the sand with a pencil (or your finger) for an instant uplift. 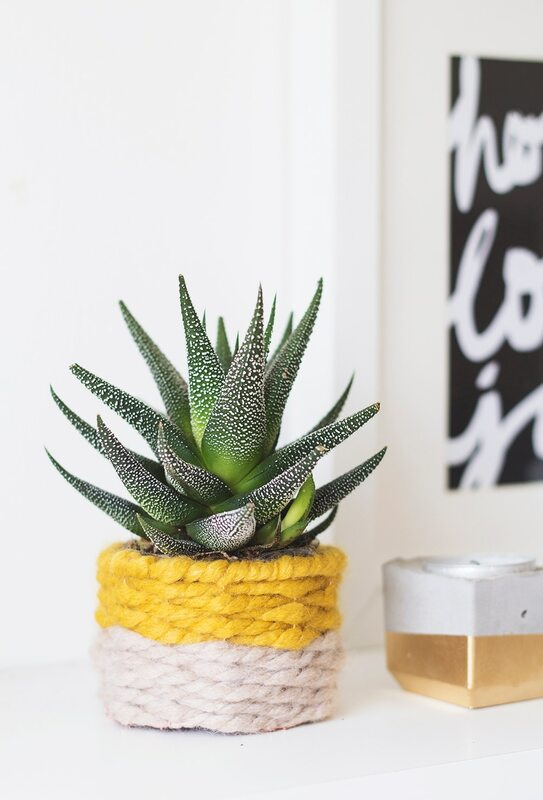 Turn a Dollar Store hanging planter into pretty home decor by wrapping it in yarn. Variegated yarn will give you a lovely striped look, but you could also your favorite solid hue. 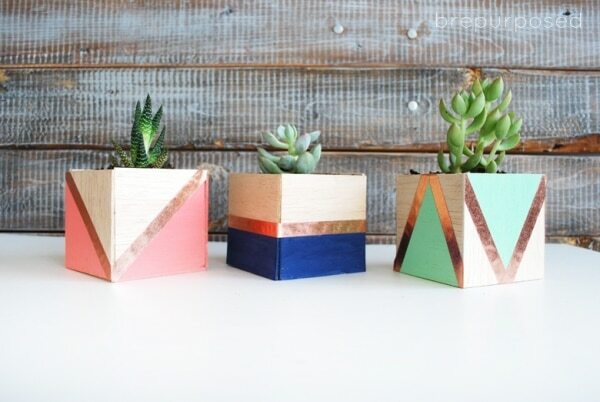 A color blocked paint job makes these balsa wood planters chic and modern. 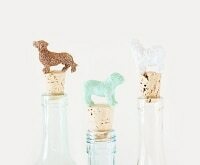 Copper foil tape adds a touch of shimmer. This Anthro-inspired knockoff costs $5 to make (compared to the original’s $68 price tag) and about an hour. 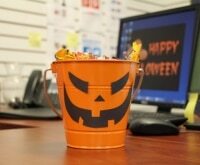 Just drill holes in a candy dish, free-hand paint zigzag designs, and hang using leather cording. 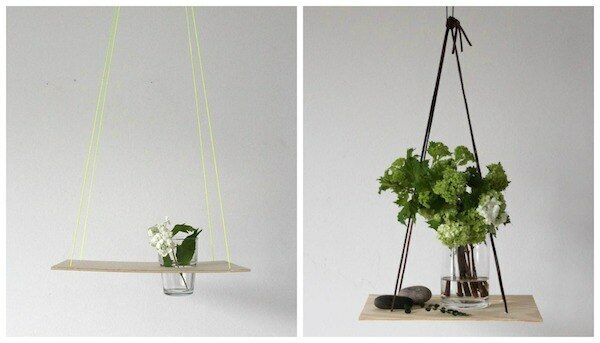 These simple but effective hangers are made from wooden dowels and suede cording. 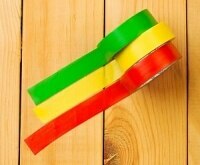 Make a few in different lengths for striking wall decor. 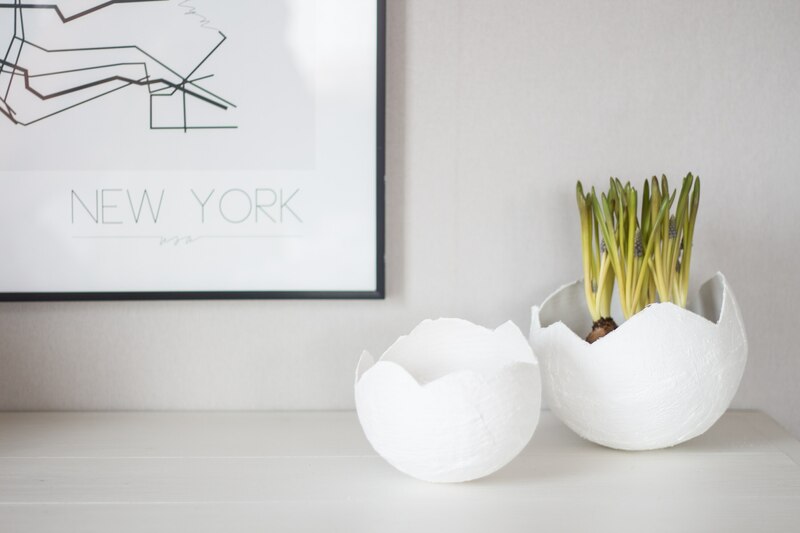 Use an inflated balloon as the base for creating this plaster egg planter. Cover the balloon with wet plaster, allow to dry, pop the balloon, and cut the edges for an eggshell look. 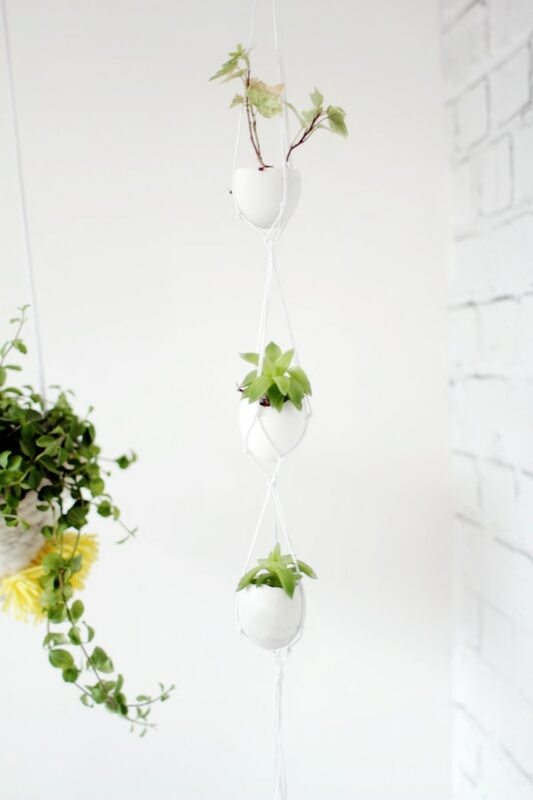 You could also opt for the real thing and use eggshells to create a multi-tiered hanger for tiny plants. 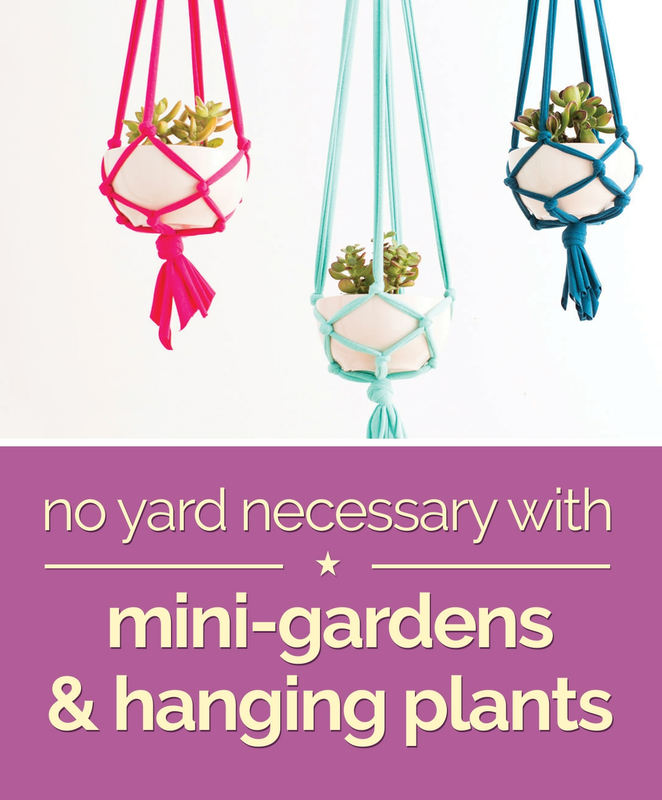 Simply fill eggshells with soil and little plants, and create itty bitty hammocks with cording. 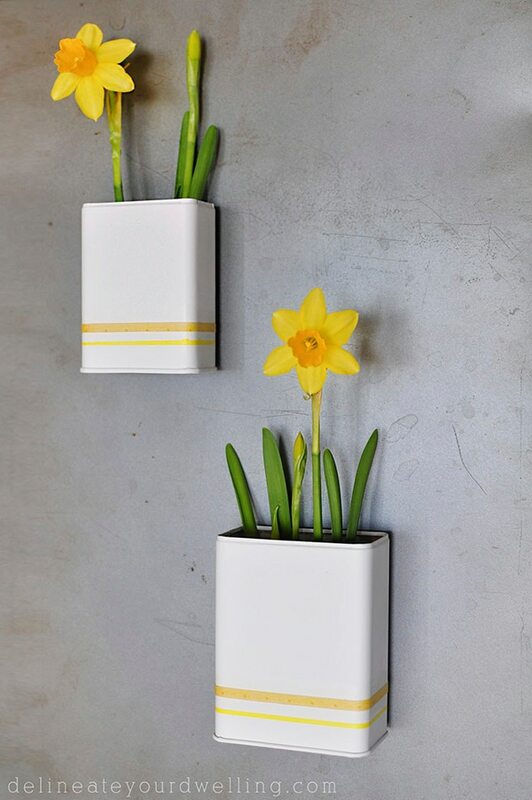 Upcycle old spice jars into pretty magnetic daffodil planters. 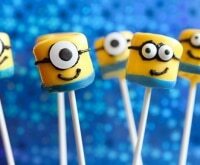 Decorate them with washi tape and paint, and secure magnets to the back with hot glue. A hanging plaque can have two totally different looks. 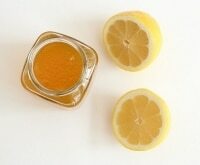 Use it as a tabletop for a vase, or cut out a circle for inserting a glass full of greenery. 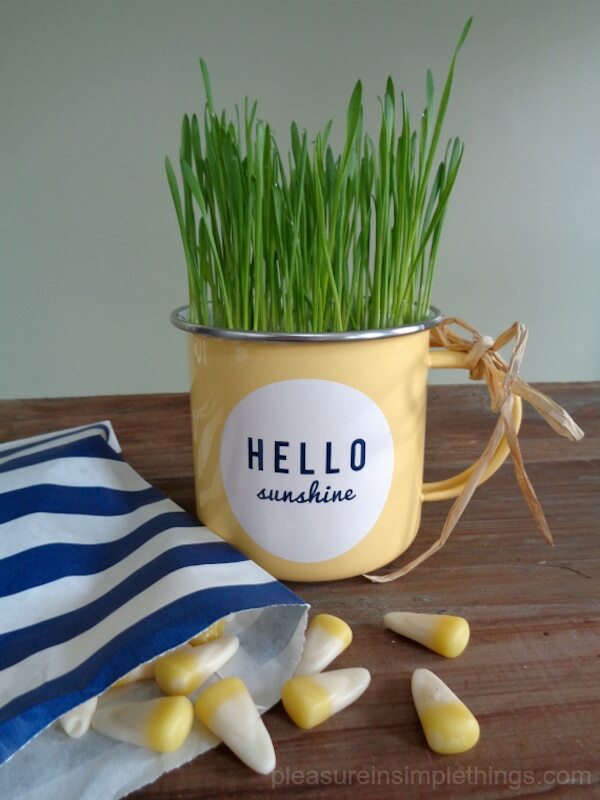 This sweet mug of grass would make for a wonderful gift and if you plant wheatgrass, you’ll have a patch in about a week. Use potting soil instead of outdoor soil to avoid bringing insects and other unwanted creatures. 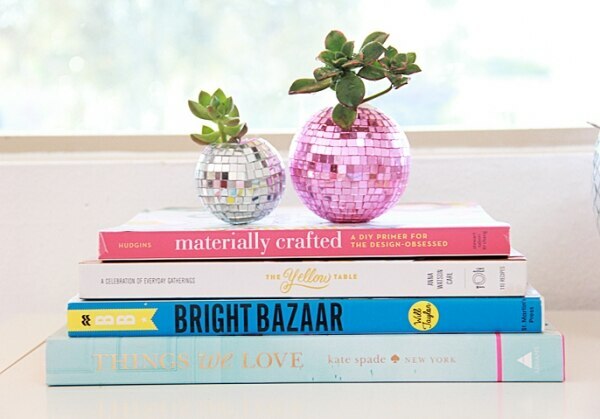 Remove the top of an old disco ball ornament to turn it into a planter that’s ready to party. You might need to trim a bit off of the ball’s bottom so it will stand flat. Perfect decor for those who love to sew. Use chopsticks to stuff soil into large wooden spools (available at antique and thrift stores). Make a hole in the soil with a needle, and stick in your succulent. Weavings aren’t just for the wall! 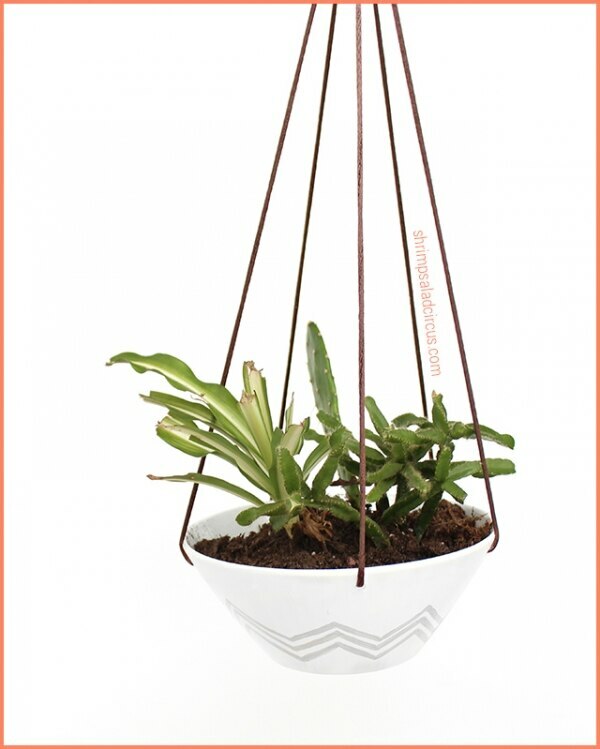 Make a wire frame and weave into it to create a lovely holder for a small plant. These bright hangings are made from strips of jersey fabric. 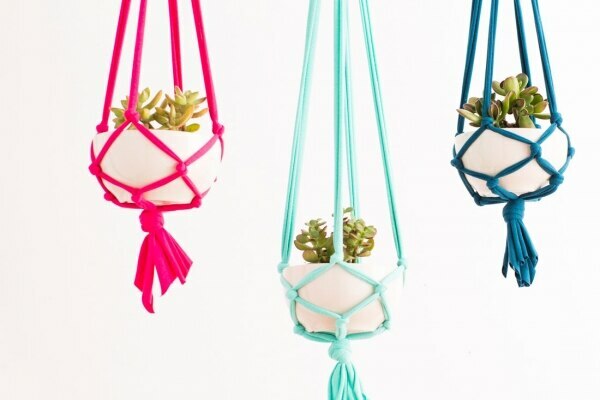 Do some strategic knotting, and you’ve got the perfect place to hang a potted plant. 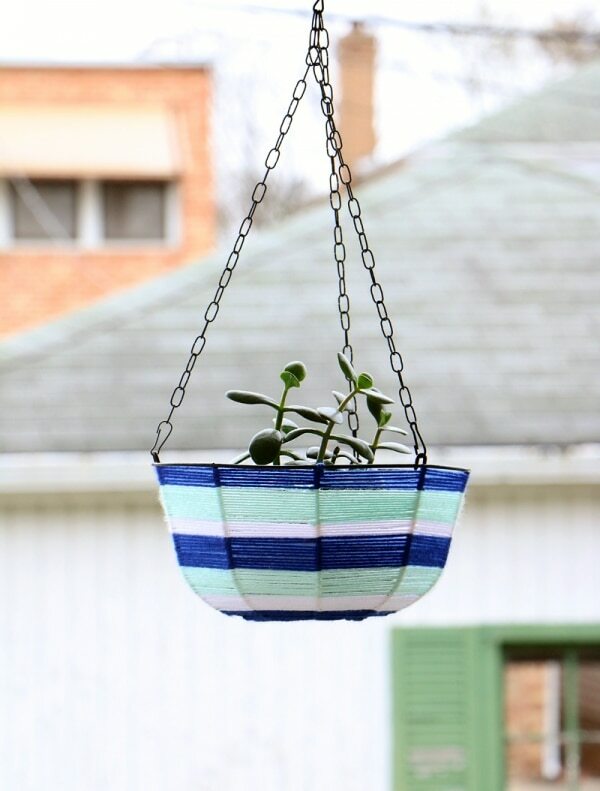 This easy project is fun to do with kids, who will enjoy making hanging plants they can eat! 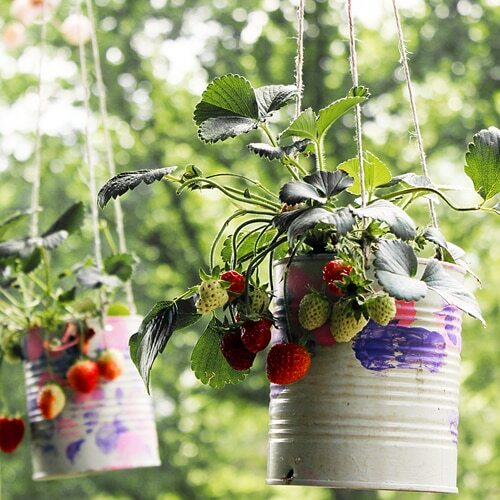 Paint old tin cans, punch holes in the bottom, and plant with strawberry plants. If you have soil and succulents, this is a free way to decorate your kitchen. 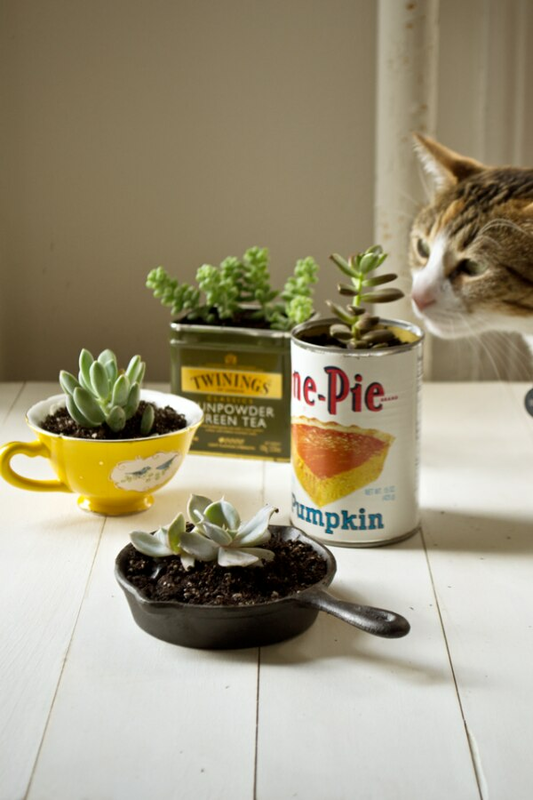 Plant tiny succulents in old food tins of various shapes and sizes (no need to remove the labels), or even a mini cast iron skillet. 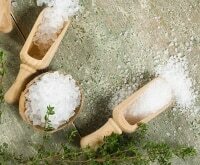 Nothing tastes better than fresh herbs seasoning your spring and summer dishes. 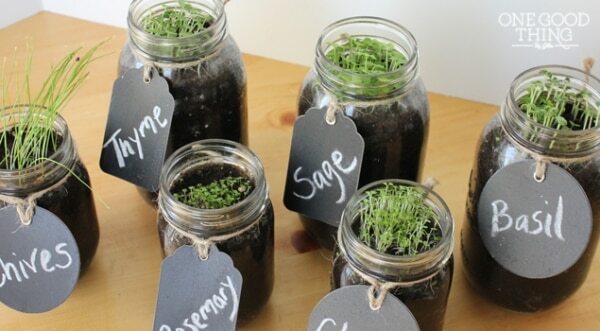 To have your own close at hand, plant them in mason jars, and label with chalkboard tags. 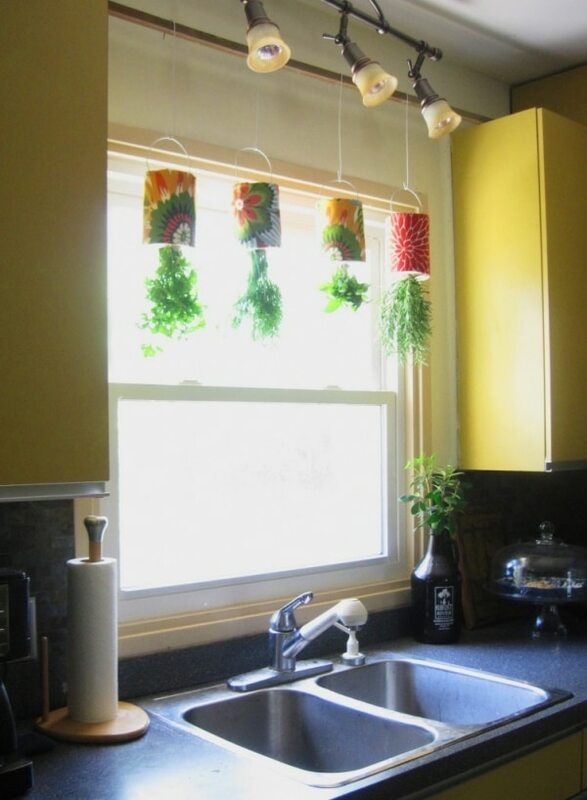 To save on counter space, you could create a hanging herb garden instead. 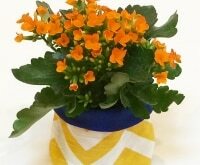 Cover old tins in prettily patterned and colorful fabrics, and wrap herbs in a coffee filter before inserting to prevent soil from falling out. 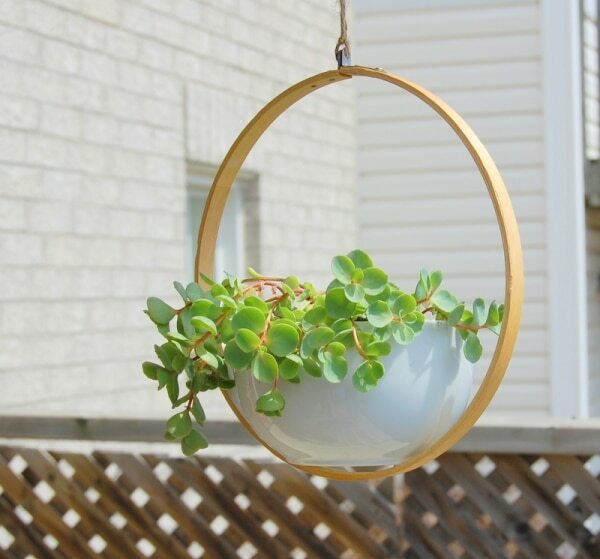 Glue a bowl into an embroidery hoop to create this beautiful suspended hanger. 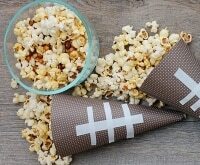 You can switch up the size to suit your space, or even make a little collection. This project is not for the birds. 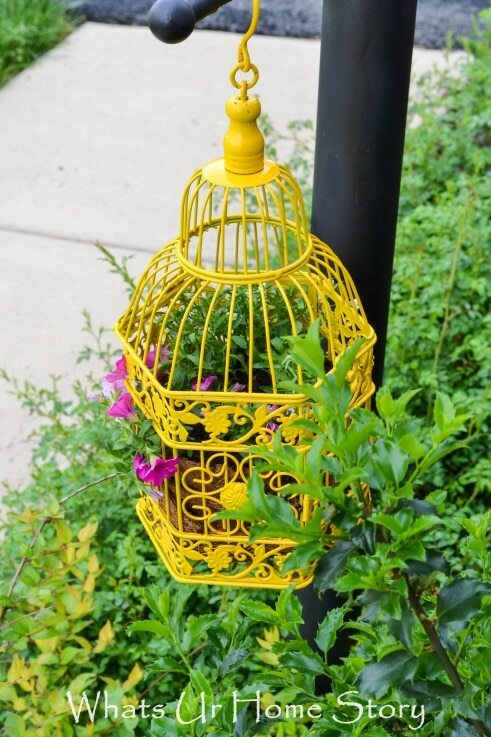 A fresh paint job and coconut liner turn a birdcage into a bright flower hanging that would look perfect on your patio- or would make a dramatic indoor statement. 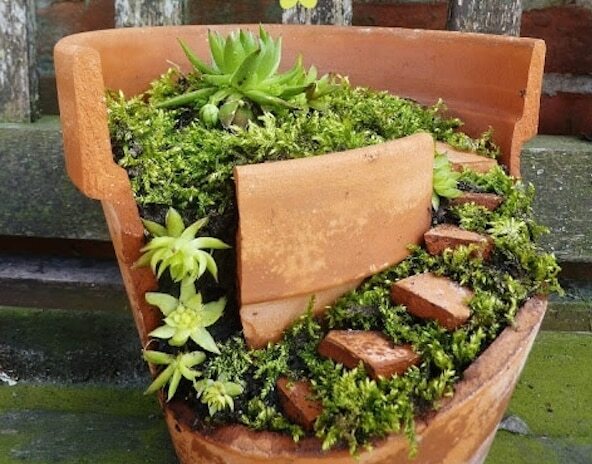 The cutest use for a broken flower pot; turn it into a miniature fairy garden, complete with itty bitty steps. 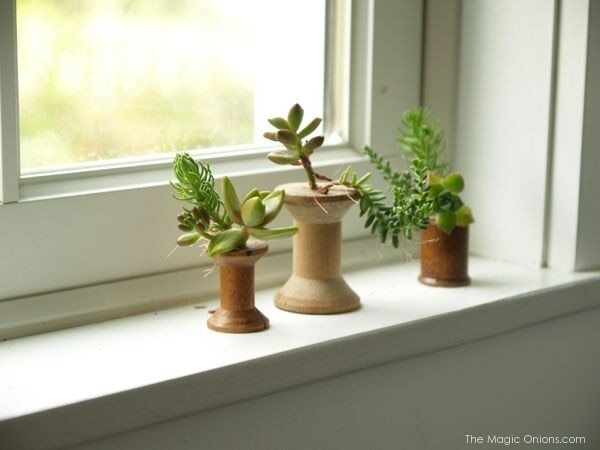 Plant it with moss and succulents, or add flowers- and even tiny gnomes. If you don’t have the space or time for a full-fledged garden, you can still keep a bit of nature close by with potted plants, plant hangings, or miniature gardens. 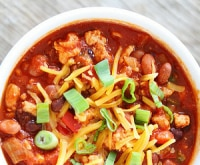 You can go all out and build from scratch, or used upcycled materials like cans and wooden spools. Either way, you’ll add both beauty and a touch of life (and maybe even edibles) to your surroundings.